Due to the growing interest towards our non-destructive insulating glass gas fill analyzers, we are strengthening our organisation. Mr. Mauri Saksala has been appointed to lead the new business line as Line Integrated Solutions Director. To that end, we hired Jukka Manner as our new Sales and Marketing Director. Mr. Manner will be handling the global operations for Sparklike Handheld™ and Sparklike Laser™ devices, excluding the Sparklike Online™ devices. The new position of Line Integrated Solutions Director was deemed necessary due to our new product launch of Sparklike Online™. This turnkey system allows IG-line integrated and non-destructive insulating glass gas fill analysis for triple and double glazed IGU's. In terms of Sparklike Online™ device, Mr. Saksala – our new Line Integrated Solutions Director – believes that the focus of Sparklike Online™'s marketing strategy is to globally promote and enforce the IG market's awareness of this state-of-art device. And rightfully so, since this new turnkey system is the only device on the market that allows IG-line integrated and non-destructive insulating glass gas fill measurement. Finally, the Sparklike Online™’s dimensions and speed are compatible with all kinds of IG-lines and the level of integration can be adapted based on the customer’s needs and product line requirements. 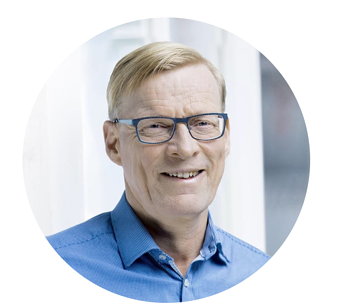 On the other hand, Jukka Manner was an easy choice for Sales and Marketing Director, since he is an experienced B2B marketing and sales professional with a demonstrated history of working in the mechanical engineering industry. Mr. Manner holds a Master's Degree in Economics; Management Systems. "Sparklike has a very promising and bright future. The awareness and need for our devices and services are increasing all the time. More and more manufacturers and end-users of IG windows and doors are paying attention to the gas fill percentage of their IGU's. Finally, we anticipate, that in the near future, there will be an increase in standards related to quality control of IGU's, " Mr. Manner says.